Apple could introduce a brand new USB power adapter alongside its bigger, 4.7-inch “iPhone 6” handset, according to a recently leaked image. Cupertino is indeed reportedly planning on introducing a reversible USB-Lightning cable this fall, when its next-generation iPhone handset hits the market. Much like its Lightning connector, this anticipated USB cable should allow users to plug their iOS charging cable into an accompanying power adapter without having to first align the USB connector. 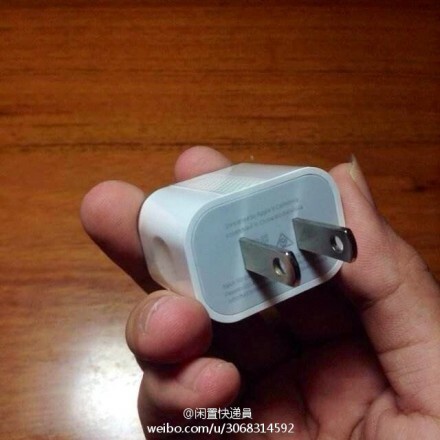 However, accompanying this new Lightning-USB cable will be a new power adapter, according to one Weibo user. In a post uploaded to the social network (via MacRumors), the updated power adapter is shown off in a close-up image (pictured above). As you can see, the new power adapter is smaller and more streamlined than the current model used in the United States; it also features indentations at both sides and is much like the 5W USB Power Adapter currently sold by Apple in Australia. 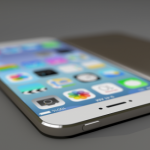 Recently, we’ve heard that Apple’s anticipated “iPhone 6” will indeed retail in a 128 GB version, and that a record number of “iPhone 6” units are expected to be sold by Cupertino during the handset’s launch weekend. As usual, we’ll keep you updated with further information as we receive it. 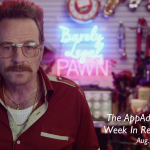 In the meantime, see: Help an intern save the galaxy in Ace Ferrara and the Dino Menace, Today’s apps gone free: Bobbleshop, Rare Candy, One Spear Arena and more, and Apple launches a battery replacement program for its iPhone 5 handset.